Golden Tee Fan Golden Tee Fan - Beat your friends at Golden Tee! Welcome to GoldenTeeFan.com! I love Golden Tee like you do, and although I'm no expert, I’m here to give you some tips and tricks so you can go out and whoop your friends at the bar! Check out all the different categories I have listed below to get general tips or advice in very specific areas, which can help everyone from beginners to amateurs improve their game! Don't forget to check out the Player Locator up top to find players in your area looking for a game or willing to help you with yours, and please add comments or contact me with questions or extra information! 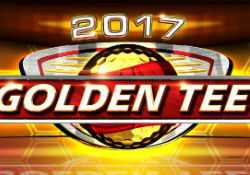 Also be sure to join the Golden Tee Fan Facebook group for even more breaking tips! Need to know more about the GTF league? Don’t worry and find out weekly results, rules and all you need on the league. Many fans from this site love the sport of golf so much that they have gone on to risk their money on their favorite players - if you are interested you can join them right here. If you are unsure on how to get started and which sites to choose when placing bets, have a look at this website for you that has all the information like sports betting guides, so make sure you check out OnlineGambling.org before you start. In the meantime get your golf fix here at GoldenTeeFan!